The purpose of Release Agent is to prevent the printing mats from pulling up the freshly laid concrete. 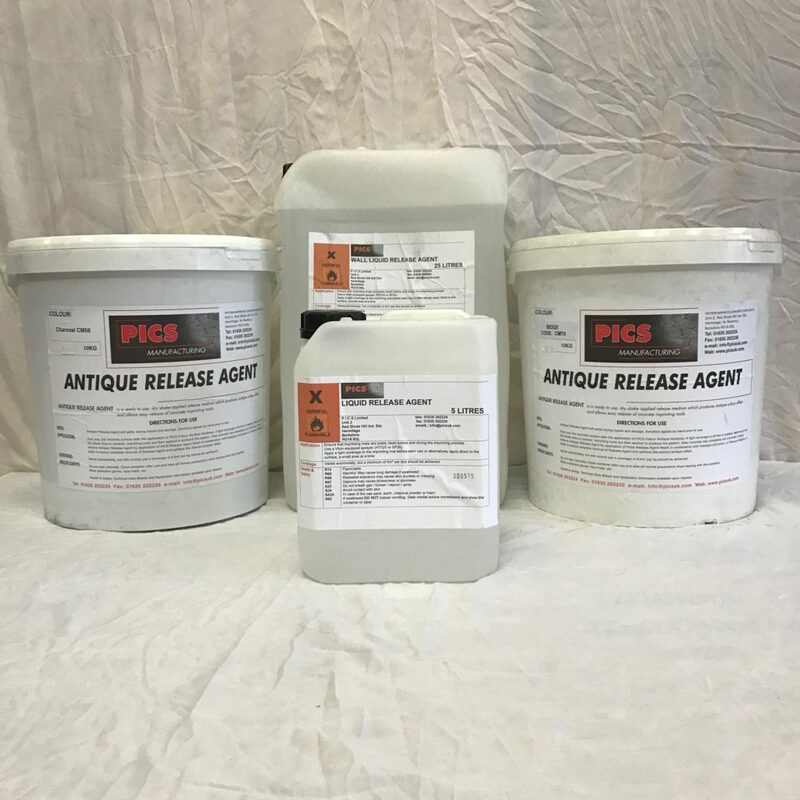 Release Agent is available in powder and liquid form. 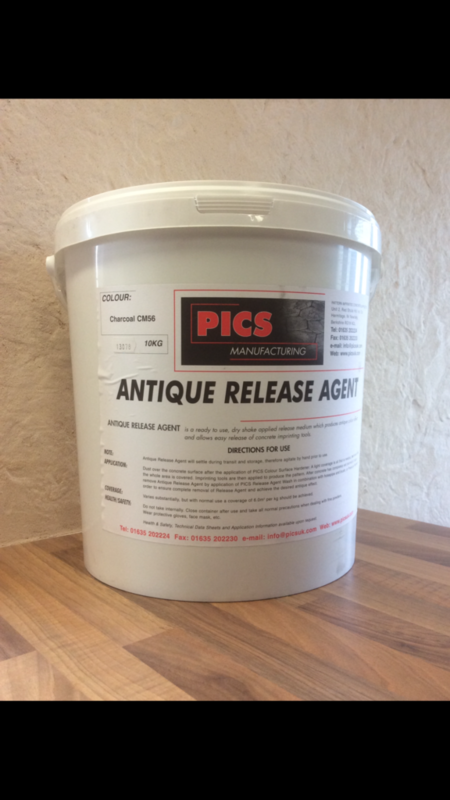 The powder Release Agent is the most popular method as it not only acts as a releasing agent but gives a secondary colour to the concrete resulting in an antique effect. This is sold in 10kg buckets which covers 70m2 upwards (depending on weather). Powder Release Agent is available in 12 different colours. 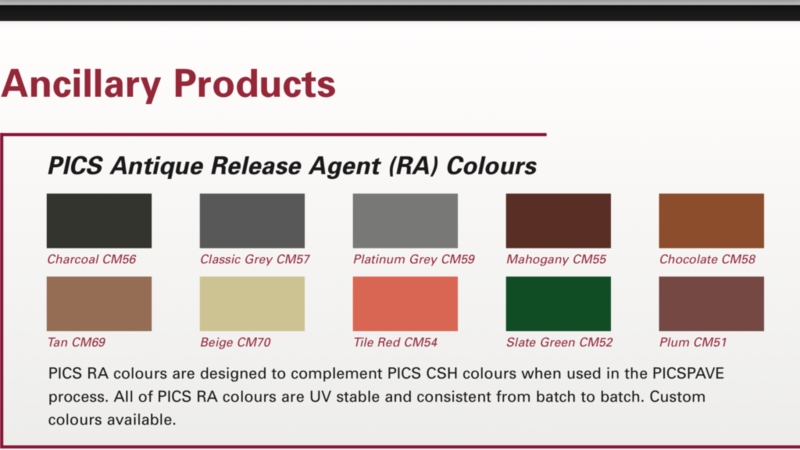 Please see PICS Release Agent Colourchart below. 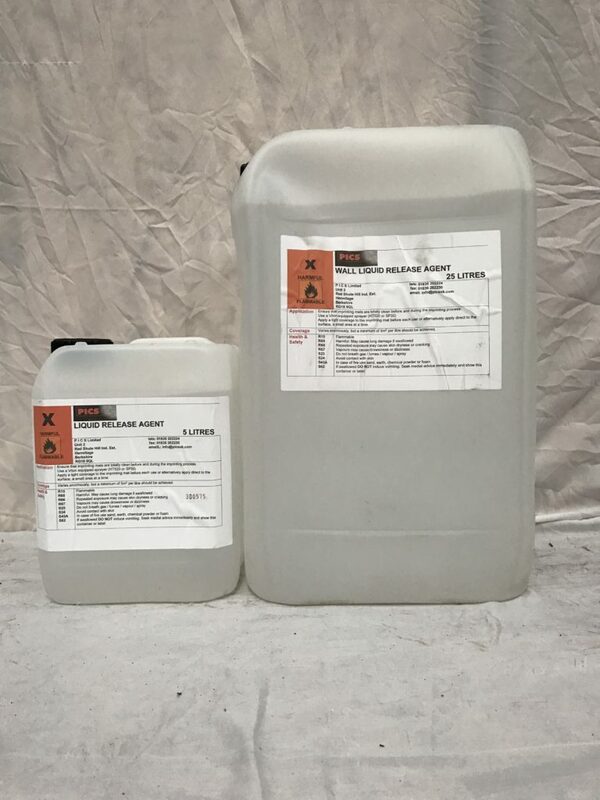 Liquid Release Agent is a colourless liquid and is used on jobs where no secondary colour is required. Liquid Release Agent is more suitable for indoor jobs or where the powder Release Agent cannot be used.